Is your car equipped with some basic emergency gear? The autoXscape emergency tool gives you 3-in-1 protection in the event that you’re in a severe car accident. The autoXscape Emergency Escape tool is ANSI IPX7 Certified for waterproof and shock-resistant durability. It’s a simple and effective tool to have nearby when you need it as freak accidents can and do occur. As ridiculous as it sounds, people drive into lakes and river banks all the time because the GPS told them to. 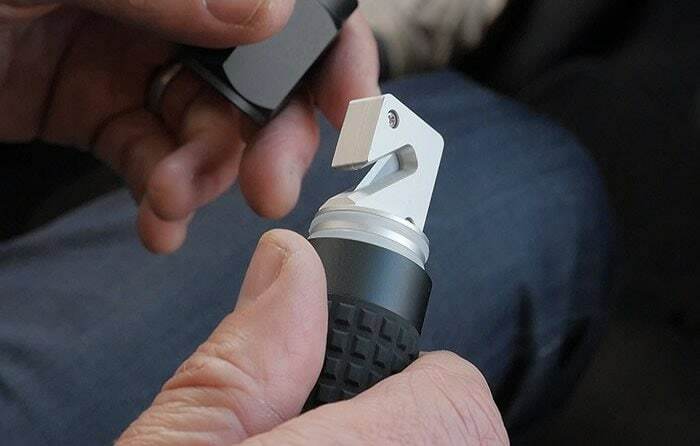 Just like the fire extinguisher that’s mounted for quick access in your kitchen, the autoXscape keeps you prepared for that moment when you really need some help. 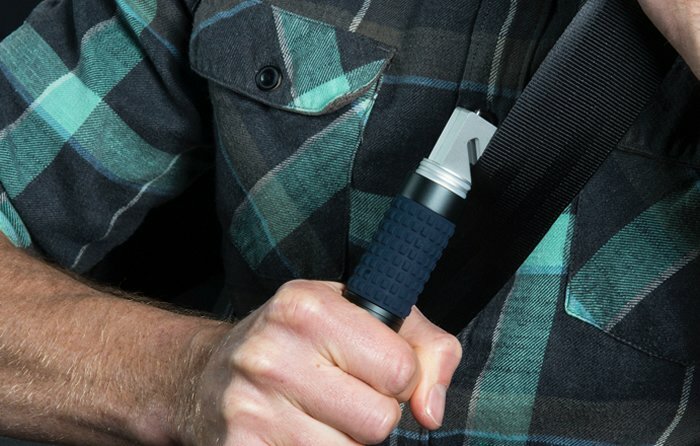 The Ingear AutoXscape is made with military-grade aerospace aluminum and comes equipped with a seatbelt cutter, two punches for breaking glass and a high-powered LED flashlight. In the box is the autoXscape, 3x AAA batteries, vehicle mounting bracket, double-sided tape, screws and a user manual. It’s a solid feeling flashlight and at 130 lumens provides very ample lighting for most task. Also very important is the low setting at 50 lumens which extends the runtime to 20 hrs. 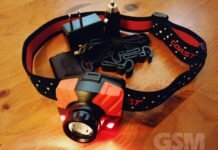 130 lumens is fairly bright and you may not need that much power all the time. Total weight without batteries is 5.9 ounces or 167.2 grams. It fits well in hand and uses a rubberized grip in the center shaft and on/off button for comfortable grip. 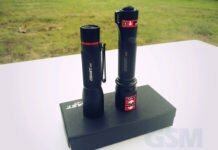 The LED flashlight is IPX7 Certified for waterproof and impact resistance to 1 meter/3.3 ft for peace of mind that the autoXscape will be ready to go when you need it most. A Cree XP-E2 LED shines at 135 lumens with a 4hr runtime at max setting and 50 lumens on low with a 20 hr runtime. 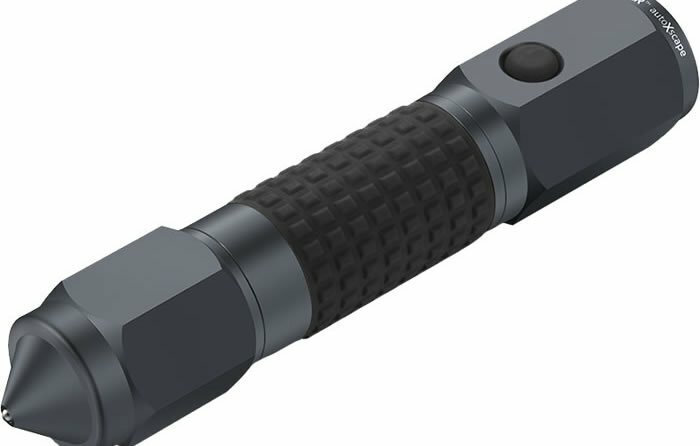 The flashlight body is made of Type II hard-Anodized Aluminum and provides a fixed focal length at 150m/492ft on the high setting and 90m/295ft on low. 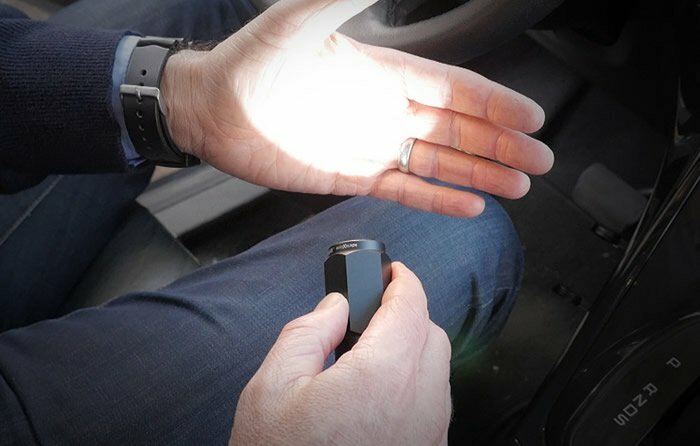 The flashlight also features automatic SOS mode to keep your distress signal running hands-free for up to 28 hrs non-stop. 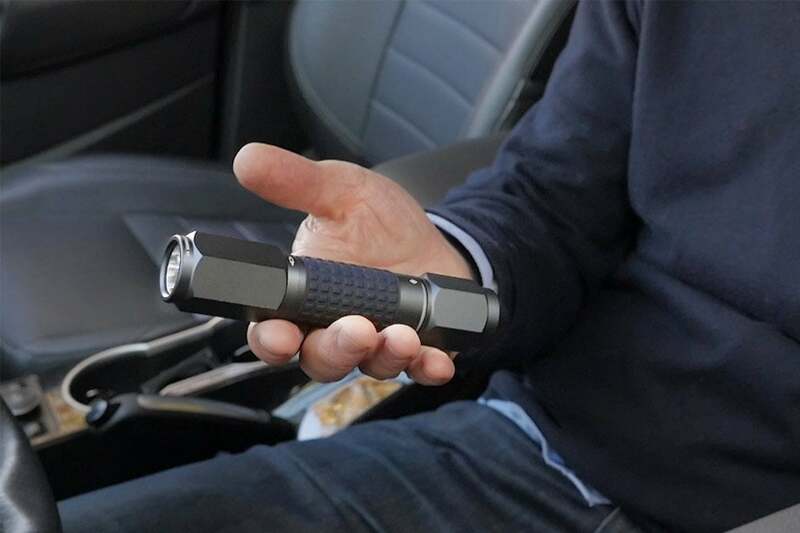 The LED flashlight is powered by 3x everyday AAA batteries for convenience. Two breaking tools are included with the autoXscape; The cap is engineered with a hardened blunt-force steel ball. 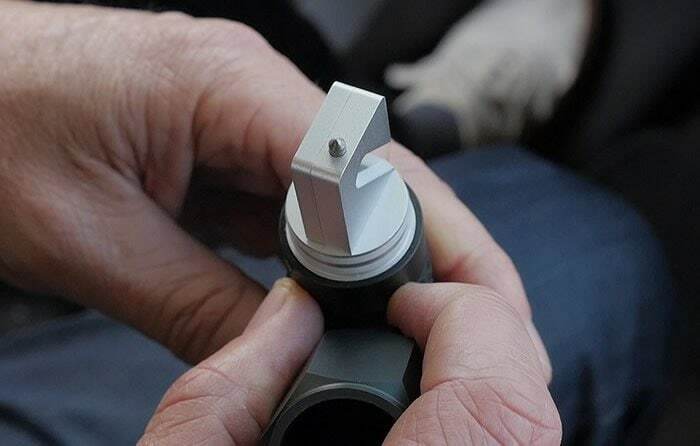 The cap pulls out with a little force to expose the tungsten steel puncture point and the seat belt cutter. There’s two rubber ribs that seal the bottom from water, they also provide some resistance when removing the cap. No twisting, it just pulls off with a little effort. The exterior cap located steel ball doesn’t seem to do very well against the tempered automotive glass. The tungsten steel window breaker however works like a charm, just be careful with it as breaking the glass doesn’t require a ton of force, hence the cap. A seatbelt cutter is an absolute necessity for when you’re stuck inside your vehicle’s seatbelt. It may give you the crucial extra seconds to make your escape. You won’t need it, until you need it but you’ll be sure glad you have it when you do. 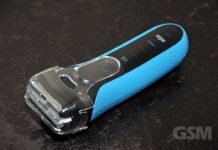 You will want to take quick note on how to use the cutter for the path of least resistance. Make sure that the seatbelt is taught first, position the cutter on the upper edge pulling the cutting tool downward and away from you for best results. 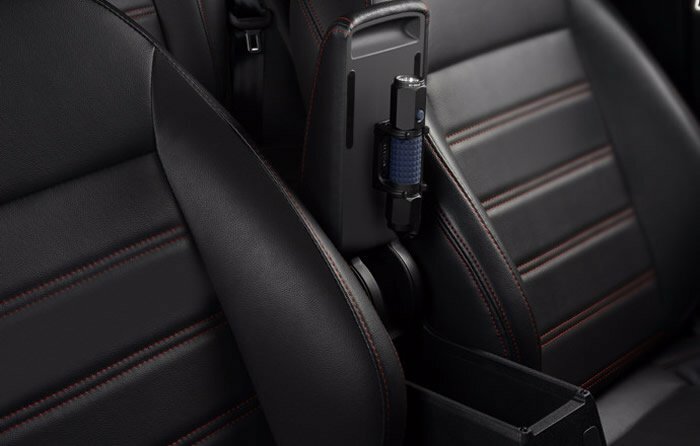 This will place pressure on the seatbelt at the blade, failing to do so allows the seatbelt to hug the opposite side decreasing the blade pressure and effectiveness. Example: If the seatbelt is across your chest from left to right where the right is attached to the buckle, use your left hand to pull the seatbelt taught, then with your right hand, place the cutter on the top edge of the seatbelt and pull downward and outward away from your body so the blade cuts the seatbelt diagonally not perpendicular. If luck favors the prepared, why not be prepared. The autoXscape emergency escape tool is the perfect companion to have along with you in your vehicle. Comes with that tactical look and is made of military-grade aluminum, IPX7 waterproof/shock resistant with a very useful LED flashlight powered by 3x everyday AAA batteries. Makes a great Father’s day or Holiday gift.